A financial advisor. The best place to start when it comes to money is a financial advisor, sometimes also called a financial planner. These professionals are trained in everything money and they can help you with a wide variety of services, including something as simple as learning stock market terms. A financial advisor can guide you through almost any issue you have with your finances and answer any question on topics ranging from retirement to investments to debt and everything in between. This professional can help you figure out how to consolidate debt from cash loans and eventually pay it off, determine what you need to do to retire at a certain age, determine your risk tolerance for investments and how to proceed to meet investment goals, and can even help you with budgeting. Make sure you find a reputable, certified advisor and consider asking for referrals or references before you pick one. A lender. Every business needs to borrow money at some point in time and if you have had those moments of financial struggle because of cash flow, you can easily solve the issue with a lender. Some people resist taking a loan, but if you use them responsibly, loans can be a smart part of your corporate financial planning. From mortgage lenders to fast cash loans to title loans, there are a lot of options for borrowing money. Talk to a lender to find out more about what it means to borrow, how it will affect your company’s credit score and how taking a loan can give you a leg up when you need some extra cash in the future. An accountant. You may have never imagined you would need an accountant, but you would be surprised at how many good reasons there are to consult with this type of professional. The first is taxes. 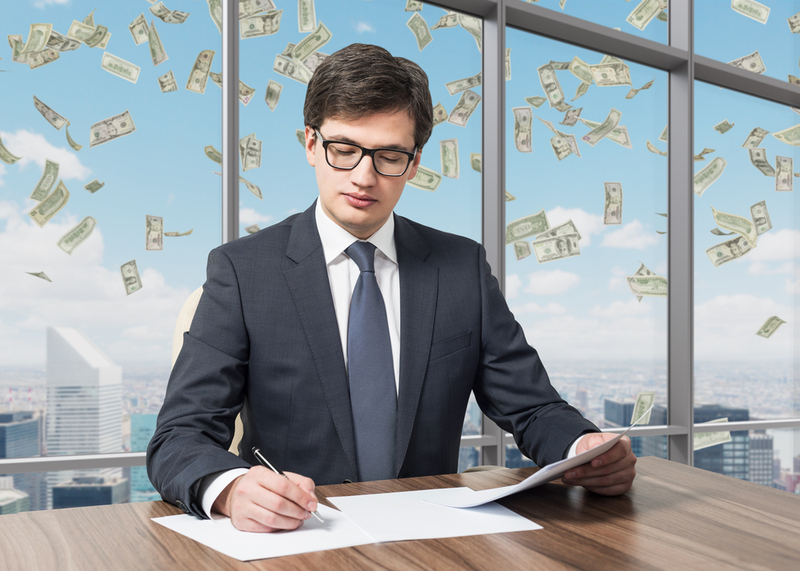 Even if you have done your own taxes in the past, an accountant knows more about corporate tax preparation than you do and can find you money and deductions you never knew were there, saving the company lots of money. They can also guide all financial decisions you make from a tax perspective. Another reason to hire an accountant is if your finance reports are more complicated than you can handle. This might be the case if you have a lot of investments or if you have or are planning to start a small business. A lawyer. If you think of a courtroom drama when you think of lawyers you are only imagining one small part of what these professionals do. Most of what lawyers do is outside of the court room and is much less exciting, although equally important. Your company assets are not free from legal implications, nor is your employees’ workplace pension. A lawyer can give you valuable advice about the legal effects of what you do with your money and what kinds of laws impact your finances. Lawyers can help you with the finances associated with a joint venture, with dissolving a business partnership, with growth planning, and with protecting intellectual property in such a way that you may earn more profits. It sounds like a lot of paper work, but if you have money and other assets, you need to make a plan for them. An insurance agent. Insurance is not terribly exciting, but it impacts your money in a number of ways. If you support a team of employees, for instance, what will they do the business no longer can operate as usual? A business insurance policy can put your mind at ease and insure your family gets support when you are no longer there. An insurance agent can also help you with policies that protect your valuable assets, like commercial car and home insurance. You can buy insurance on your own, but an agent is knowledgeable professional who can guide you to purchase exactly what you need for the best coverage and can get you better pricing than you can find on your own. If you really want your business to succeed, hiring the first financial professional you interview is not the solution. Thankfully, there is an organization that can help you source only the best of the best finance talent. The Society of Financial Service Professionals, or FSP, is the ideal starting point on your search to fill your open finance position. While this society is aimed at servicing members who are finance professionals, it can also help you to find individuals in your area who you know are passionate about their career and their industry. This already weeds out the uninspired, lazy workers from your applicant pool. Visit The Society of FSP website, and look for financial professionals in your area who are members. You will be better able to find the best applicant for the job of managing your business joint accounts. Ask for the financial planner’s code of ethics. Read through it carefully. You want to be sure that any finance professionals you are considering are actually going to look out for your best interests. After all, your finances are the absolute last thing you want to entrust to any random, so-called professional. Ask to see a copy of their code of ethics before you hire any financial services professional. Dealing with finances is kind of a drag. Not many entrepreneurs or business owners get excited about managing money, but it is important. To save, to earn, and to plan for a profitable future, these professionals can guide you and ensure that you make the smartest possible money choices.